La Vuelta reaches the last rest day and the GC remains in a similar situation to last Monday’s. There are still very small differences among the first places in the classification, with only 43 seconds between leader Simon Yates and fourth-placed Miguel Ángel López. Also, there hasn’t been one rider with a clear dominance over the race but instead several team leaders with very similar strength. If a winner of this second week has to be named, then it must be Simon Yates. The British rider of Mitchelton-Scott wears the red jersey, won a stage in the difficult climb of Les Praeres and is looking strong compared to his main rivals. He is apparently on the correct road to keep the jersey until Madrid. Nevertheless, there is no big difference between his current condition to those of the Movistar duo of Alejandro Valverde and Nairo Quintana, 2nd and 3rd in the GC respectively, or to López’, who climbed to the fourth place during the weekend. In Les Praeres and the mythical climb of Lagos de Covadonga, Yates was one of the most active riders among the team leaders. In both stages, he benefited from the work of Astana and Movistar given that Mitchelton Scott doesn’t seem in the same condition as in previous Grand Tours. In fact, the Australian squad was heavily criticized by Movistar leaders Quintana and Valverde and many cycling fans after stage 11, in which Mitchelton riders didn’t take the command in chasing the breakaway, at least not to the extent that other teams expected. The day right after the controversial 11th stage, Mitchelton saw itself released from the spotlight when Jesús Herrada took the red jersey at the arrival in Faro de Estaca de Bares. In the same style as Rudy Molard, Herrada joined the day’s breakaway and gained enough advantage due to the lack of understanding among the main teams in the peloton. 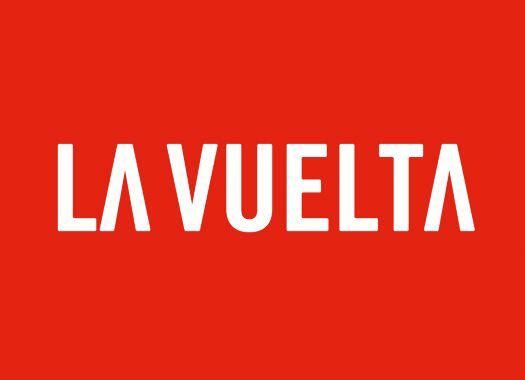 Once again this Vuelta had an unexpected leader from a rather small team such as Cofidis. The French squad has delivered a very good Vuelta with one stage win from Nacer Bouhanni during the first week, the two days of Herrada in red and having Luis Ángel Maté leading the Mountain classification during the whole race so far. Herrada, a long time hard working domestique, bravely defended the red jersey on the summit finish of the 13th stage at La Camperona which is one of the hardest climbs of this Vuelta, not because of its length or its height but because of its really hard slopes. The same can be said about the last climb of the 14th stage at Les Praeres. Whole kilometres with slopes around 20% made this weekend the hardest of the race and Herrada, after he survived La Camperona, lost about nine minutes at Les Praeres. After Herrada lost positions in the GC, the highlighted rider of Cofidis was once again Maté. The mountain classification is becoming as tight as the GC, with Thomas De Gendt only seven points behind the leader, and Ben King one point under De Gendt. The Belgian rider of Lotto Soudal has taken advantage of his classic combativeness and took many points during the week from the breakaway. Maté hasn’t been as strong as he was in the first week and it seems like it’s increasingly difficult for him to get in the breakaway, and once there to fight for each climb. The Spaniard has the chance to recover on this rest day and he surely will take it easy on the TT to save some energy for the remaining mountain days such as stage 17 featuring 5 categorized climbs before the summit finish at Balcón de Bizkaia, or the 20th stage with three 1st category climbs, and two other minor categorized climbs before the final uphill finish. It is in those stages that the GC contenders will have to take any chance they get. As mentioned above, Yates, Valverde, Quintana and López seem to be very equal in strength. On the incredibly steep slopes of Les Praeres or the long climb of Lagos de Covadonga only Yates remained constantly at the front. Valverde seemed to be struggling at Les Praeres and even got dropped at some point at Lagos but in this one, he made an amazing recovery and finished the stage in third place. Nairo Quintana, on the other hand, is still well placed in the third spot of the GC but didn’t look well at Lagos de Covadonga, or not so well as in previous races such as the Vuelta 2016 when he won a stage and took the red jersey on the same climb. The Colombian rider earned a lot of criticism after refusing to take the command of the main group nor collaborating enough in the pursuit of Thibaut Pinot, who won the stage. Quintana is under a lot of pressure to attack his direct rivals, but he just doesn’t have the strength to make big differences. After all, he tried in the last kilometre of Les Praeres but those slopes and the fatigue after a hard stage conspired against him. All the effort invested there, and at La Camperona one day before, undermined his chances to launch an attack at Covadonga. It is plausible that following the TT Valverde will be the one much closer to Yates, or he could even surpass him since he has the legs to perform good time trials when required. Then, Movistar will have to make the call and turn their resources to help Valverde. Otherwise, it will be very difficult to try to win the GC against Yates or López in hard scenarios such as the summit finish of Andorra, or the 20th stage with the finish at Coll de la Gallina. If the outcome of this Vuelta is to be decided by team effort, then Astana has the upper hand. But things don’t always go as planned and of all of the four main candidates for the GC López is the weakest one in the ITT. To his benefit, there are still mountain opportunities to recover time. Behind López, Steven Kruijswijk, Enric Mas and Thibaut Pinot remain at 1:29, 1:55 and 2:10 behind Yates, respectively. Their options for the overall victory are scarce now but they will surely fight for a place on the podium. Mas, the young Spanish rider of Quick-Step, did an excellent job in Covadonga. Pinot actually won a stage and is showing a steady increase in his condition in this Vuelta. Kruijswijk has been one of the most regular climbers but without any outstanding performances. Some seconds behind Pinot there is Rigoberto Urán. The Colombian had plenty chances for the podium until Lagos de Covadonga where he lost almost a minute and a half against Pinot. It isn’t so much time, but given the very short differences in the GC, it will be very difficult to recover it. Stakes are very high for this final week of La Vuelta. The GC riders will have to step up and attack while regulating their efforts in order to avoid a catastrophe like the ones that happened with Yates or Pinot at the Giro. Tuesday’s ITT can shake thing up a little, but the climbs of Balcón de Bizkaia, Andorra or Coll de la Gallina will be the final tests for the riders. Meanwhile, teams without stage victories will go for the breakaways making the race difficult to control, and the mountain classification will also have its final showdown. Prepare yourselves for a very intense final week.